As others have mentioned, it was almost too cold to draw, even with fingerless gloves on. 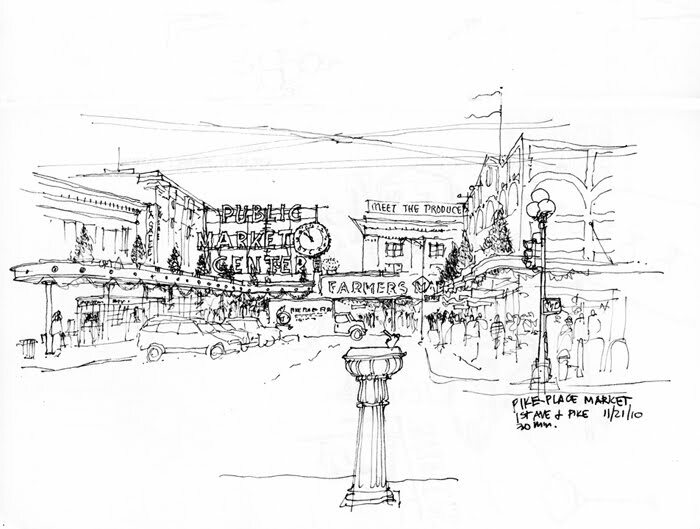 Interesting to compare everyone's iconic views of the market entrance from 1st Avenue and Pike Street. My wide view causes the large Public Market Center sign to lose the immediacy we normally perceive it to have. I think a more closely cropped view would have worked better. 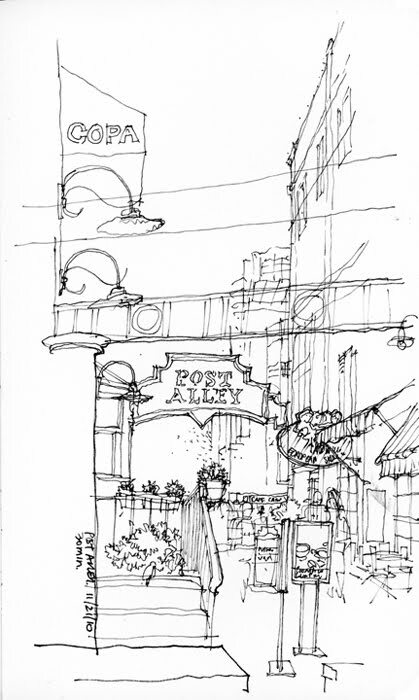 The second sketch is of Post Alley. Both are great sketches! I just love how all of us took the same location and viewed it in a different way. I like how this one captures the whole context. The Post Alley sketch is wonderful in composition and editing information. Great sketches - you get so much with the way you frame the drawing and economy of line. Wonderful sketches Frank. I'm impressed with how you manage to capture the essence of the view and do so with just a few lines. Thanks for helping answer my questions.